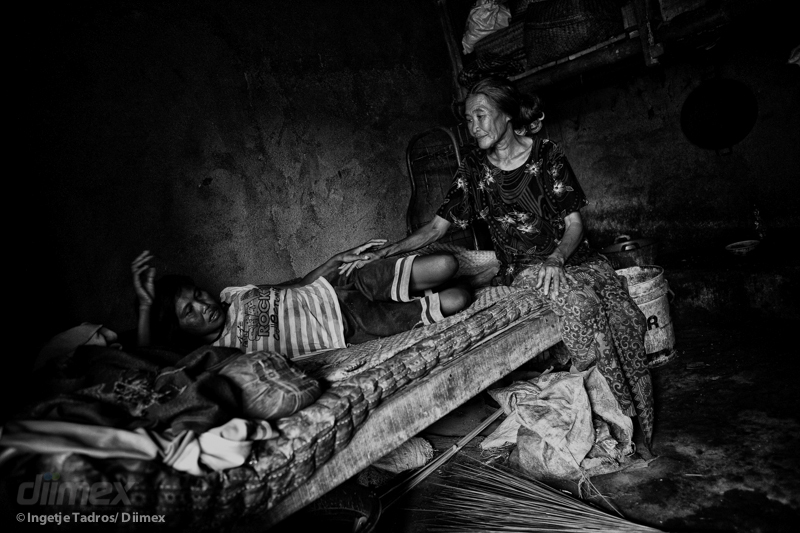 Caption: Ni Wayan was left chained in a shed with chickens for many years. Then she was found by scouts of Dr. Suryani's team at the beginning of 2014. Now her mother is looking after her, while she is receiving medication. They both live in a kitchen. "Almost every case is treatable," states Dr.Suryani.